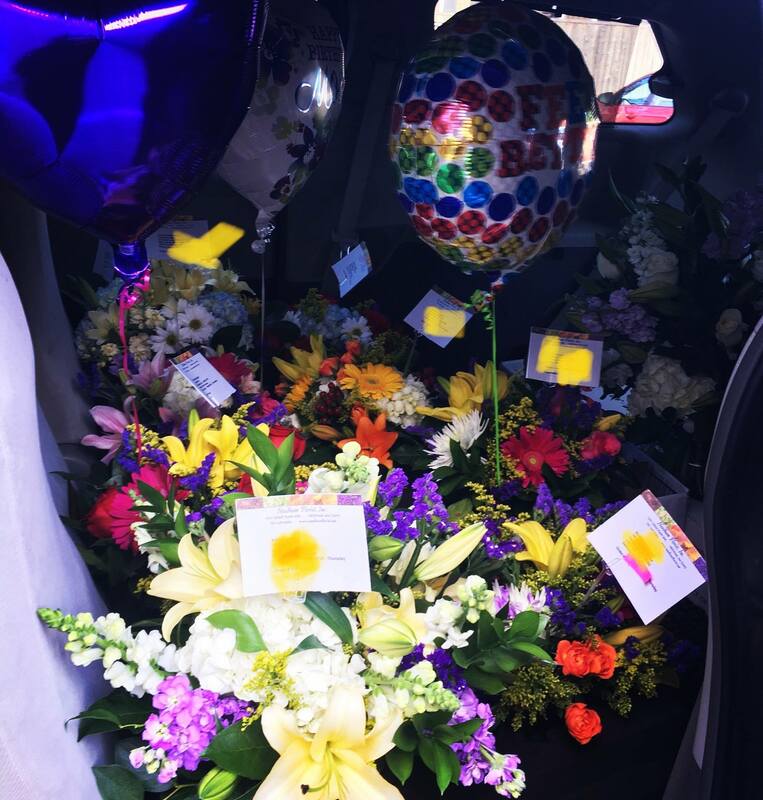 Lush roses, exotic orchids, glossy tulips and hydrangea are some of the most beautiful fresh flowers available to florists… and this lavish and upscale bouquet features them all, in a range of brilliant colors including vibrant hot pink, lavender and chartreuse. Simply spectacular. 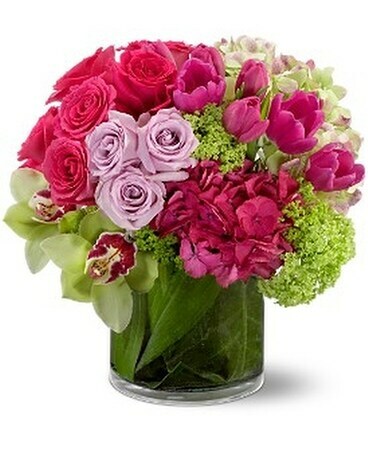 Hot pink and lavender roses, pink and green hydrangea, green cymbidium orchids and viburnum, and purple tulips are delivered in a glass cylinder vase lined with aspidistra leaves.